Basic at Ft Ord, CA twice. Served in Korea 9/17/50 to 10/18/51 -1st Cavalry 8th Regiment Battalion E. Company. Memorable moment October 9. 1950 Robert Harely Young saved Cliff's Life and was awarded Congressional Medal Honor November 1951. Cliff was sent to B-Btry 3/18 Artillery under Captain Kistner Vietnam 1965/66 Cliff was part the 88 Infantry station Catecka Tea Plantation part the patrol in and around the IA -Drang Valley November 4, 1965 . Cliff even re enlisted because he was in Field at Chu -Lui Vietnam in 1967. 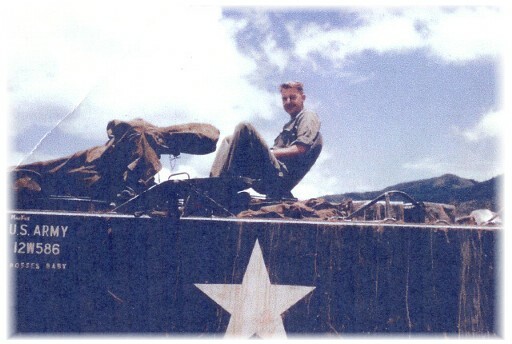 Cliff pulled all Maintenance on B-Btry Howitzers during this time between An-Khe and Chu -Lia Vietnam . 1970 to 71 Motor Pool Sgt Vietnam with 101st Airborne. "Airborne all the way!" Cliff says. 1972 Clifford Nelson Retired Ft Hood Texas 3rd Armored Division . Clifford and Lola Nelson has traveled the World since he retired. Avid Hunter Deer and ELK. He now has a new home built north of Salem Oregon some 20 miles. Medals: Bronze Star, Purple Heart, Occupation Japan, Good Conduct, Combat Infantry Badge, Korea Service Medal-United Nations, All Medal `s of Vietnam Cross Gallantry w/ Stars. Vietnam service Medal and others. Mr. Nelson from B-Btry Vietnam a pleasure to serve with you 1965/66 Cliff unloaded at Quin-Non harbor and we also joined the 1st Cavalry on our Arrival. 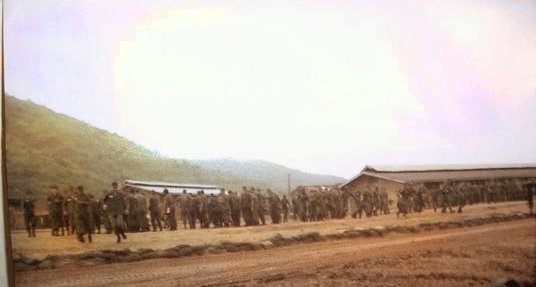 Clifford Nelson took this Picture as whole 3rd Btn 18th Artillery joined 1st Cavalry Oct 30, 1965. Cliff, being a great Sgt. said, "you men haven't been in combat long enough to learn to keep your head down." Well, somewhere in this Crowd is Charles E. Martin - In Vietnam 2 Day's, I did learn later to keep my head Down. Hooray for B-Btry 3/18 Artillery.